"The Conjuring 2" is a horrifying theatrical feature film based from the case files of Ed and Lorraine Warren. The whole theatre was reverberating with a strange mixture of eerie sounds, and sudden screams of the audience. 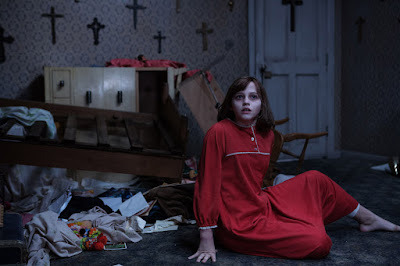 The film is a sequel of "The Conjuring" that featured a different case from the Warrens. The second installment has creepier anticipated horror scenes. The use of realistic visual effects ranges from the simple moving everyday objects, to the seamless transfigurations of demons and ghosts. The musical score and sound effects were intensified by the Dolby Atmos theatre. 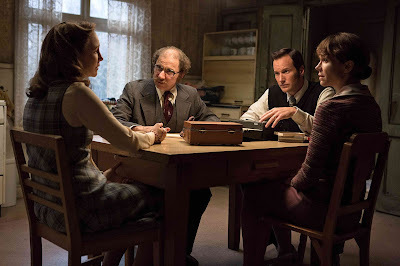 The production design staff for the film truly taken us back in time with a flawless set and costume design. The film has successfully embedded visual clues, and a plot with surprising twists that would be enjoyed by horror and mystery fans. A small cast of effective characters with well developed personas made a big part of this film a success. A nine out of ten satisfyingly horrifying movie experience.